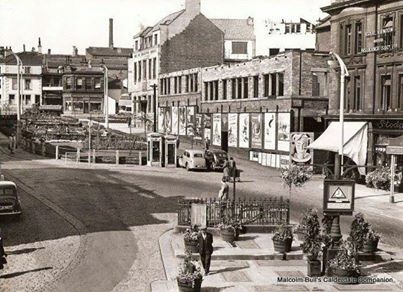 We all have some Halifax-old-pics so why not share them here. We are looking for any Halifax or village memorabilia e.g. buildings, works groups, pub outings. Just don't forget to label them if you can. If you can't, maybe we can between us. I would also like to thank Malcolm Bull for his permission to show his pictures. 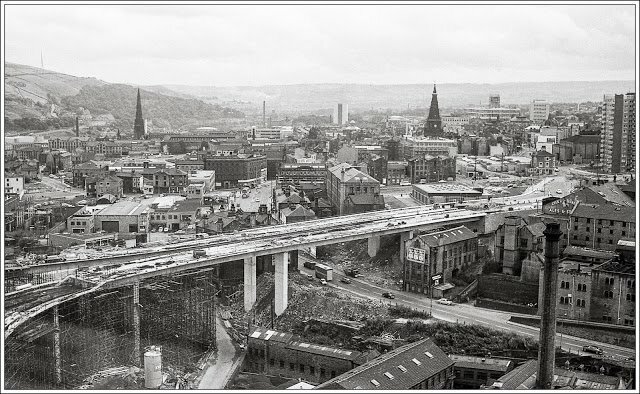 The building of Burdock Way in 1970. 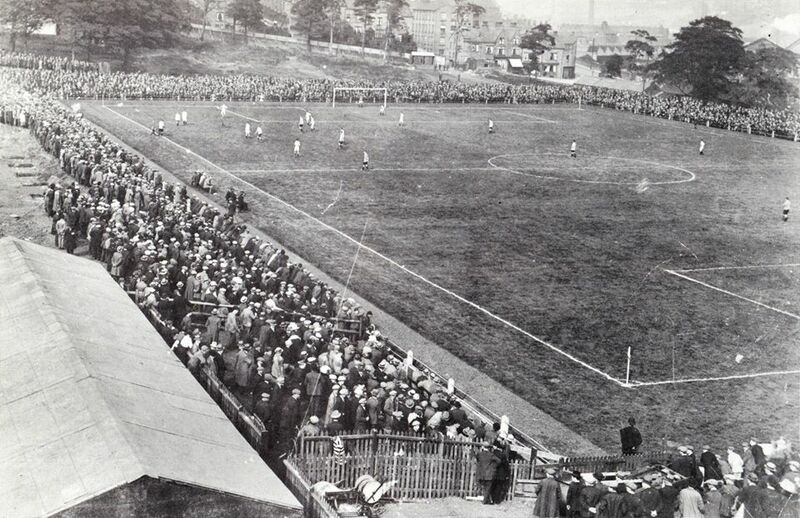 History was made on September 3rd 1921 (exactly 95 years ago today) when Halifax Town played their first match in the Football League at The Shay. The match was against Darlington and was watched by a crowd of over 10,000. Town won: 5-1. The club had been in existence for just over 10 years having been formed at the Saddle Hotel on May 23rd 1911. Gradually, the team worked their way up through various lower leagues before taking on the Football League itself in 1921. The team...’s original home ground was at Sandhall Lane, Pellon and then at Exley but on August 4th 1920, Halifax Corporation agreed to lease the Shay to Halifax Town as their main home ground. Until 1903, The Shay had been the site of a substantial mansion (see the photo) designed by John Carr, the famous York architect who designed many of the major houses and churches locally. The Shay mansion was built around 1770 for the local merchant John Caygill and several notables lived there through the 19th century. Then, around 1890, Halifax Corporation decided they needed to improve the main highway into and out of Halifax by building a new road. They chose a way out of town starting from Ward’s End and heading towards the Shay Mansion but they quickly realised they would need to build an embankment to take the road across the Well Head fields. They created the embankment by tipping waste material from the Halifax Gas Works and this quickly began to dwarf the mansion. The new road, Skircoat Road, was finally opened past the mansion in 1890 and the mansion was finally demolished in 1903. In 1905, the gasworks waste caught fire and the whole embankment had to be dug out and rebuilt. 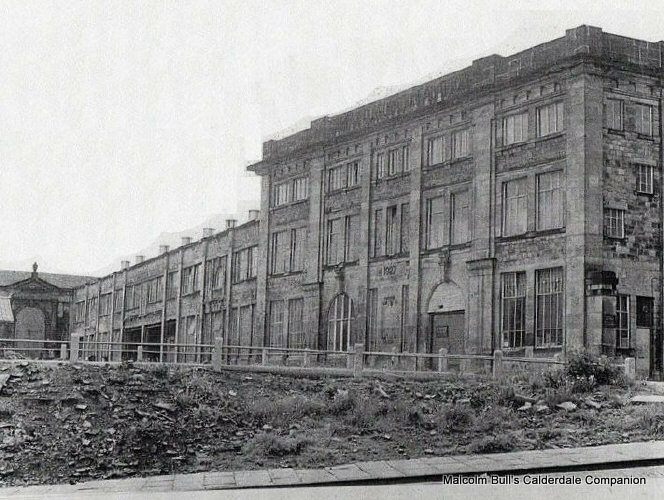 After that, the land where the mansion had stood became a rubbish tip (see photo) and a training ground for the Territorial Army during World War I until the Corporation leased it to Halifax Town. In 1987, Calderdale Council, bought the lease back from the football club. For more information on this subject, you should read ‘Halifax Town – The Complete Record’ by Johnny Meynell (published by JMD Media – 2011). As well as writing this comprehensive history of the club, Johnny also set up this Facebook group as well as the original group – ‘Old Pictures of Halifax, West Yorkshire’. Many, many thanks to Johnny. 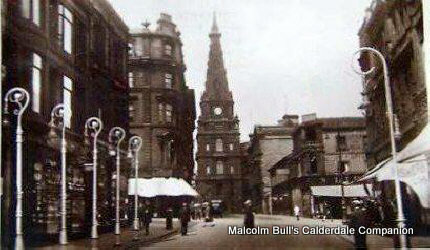 For other information here, as always I’m grateful to Malcolm Bull and his Calderdale Companion website. 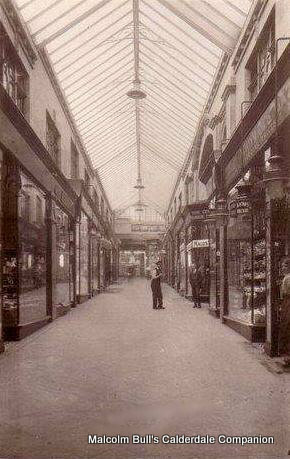 This shop belonged to my Great Grandparents Dorothy and Herbert Jowett around the early 1900's.